-Put 2 tablespoons of oil in the non-stick frying pan then fry the tofu until it firms and turns golden brown in colour. Season with salt and white pepper. -Remove the tofu from the frying pan and rest on the kitchen towel. -In the same pan, add the curry paste and gently fry for 1 minute. In goes the cooked potato, mix well then gently cook for further 2-3 minutes. -Add the single cream, sugar, tamarind extract, vegetable stock cube and kaffir lime leaf. Fold all the ingredients together, bring it to boil. Turn the heat down and simmer for further 20 minutes. Slowly add the water a little at a time while simmering. -Add 1 tablespoon of vegetable oil and fried tofu. Simmer for further 5-10 minutes. 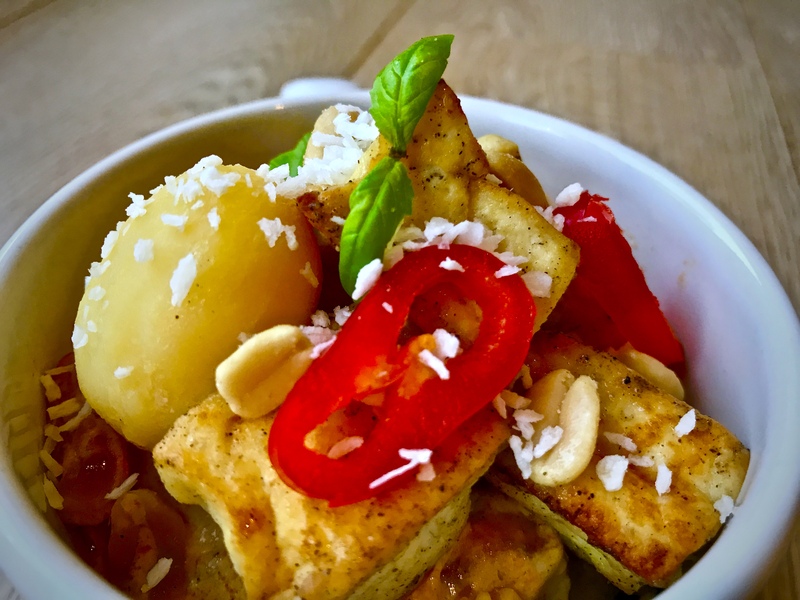 -Use Thai coconut milk and make sure you get a Vegan Massaman Cury paste if you are Vegan. -Use the kitchen towel to absorb the excess water before you fry the tofu. It will be easier to fry. Be careful when you fry the tofu as it is quite a delicate ingredient and easily comes apart. -Don’t have time to cook the potato? 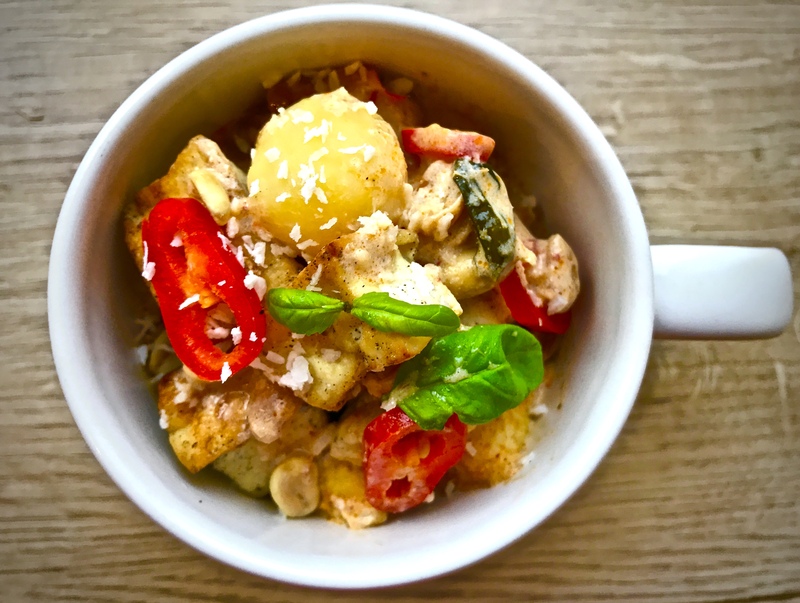 You can get away with the can new potato in water for this recipe.